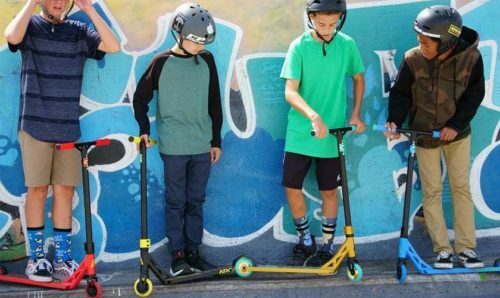 Infuse more power into the ordinary skate board and add some exciting features like music, quality tires, strong build and Bluetooth connectivity. Finally sprinkle some style and what you get in the end is what is fast becoming a popular self-propelled mode of transportation. Yes, we are talking of the Hoverboard which, over the last couple of years has taken the market by storm. Initially only a figment of imagination in popular science fiction and any kid’s dream wish hoverboards are now a common sight across cities. One only needs to stand on the platform in between the wheels and the battery and motor will propel the person forward. With some practice, you will quickly learn the ropes and enjoy the ride. 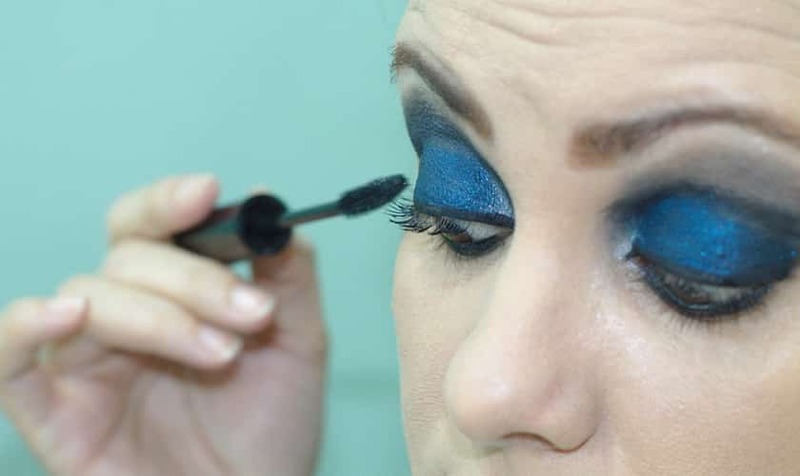 Although certain restrictions have been placed on their use, it hasn’t stemmed the popularity and demand for this exciting invention. In this review, we take a look at the ten best hoverboards 2019 in the market. Read on to find out which ones they are and choose your pick. The Gyroor G F1 Hoverboard is one of the leading brands when it comes to hoverboards and the G- F1 hoverboard will delight you with its build and speed. This hoverboard weighs close to 33 pounds and comes with an aluminium frame giving it strength and sturdiness, and is water resistant with IP 54 rating. The G F-1 is one of the fastest hoverboard in the market and is modelled to look like a real F1 racing car and can achieve a top speed of up to 10 – 12 miles/ hour with a maximum climbing angle of 15 to 30 degrees. It comes with UL2272 safety certification and can carry weight up to 265 pounds. It is fitted with big 8.5-inch rubber tires which are big and strong to provide more balance in rough terrain as well. This electric hoverboard is powered by two 350W motors and runs on a removable rechargeable battery which recharges in 1.5-2 hours. The hoverboard has delightful features such as sounds mimicking actual F1 car for an immersive experience and LED lights for night riding and looks. It has a music speaker in-built on the hoverboard that can connect with your smartphone. With the GYROOR app, you would be able to adjust the speeds, change the LED lights colour, set adults or kids mode and change the music. 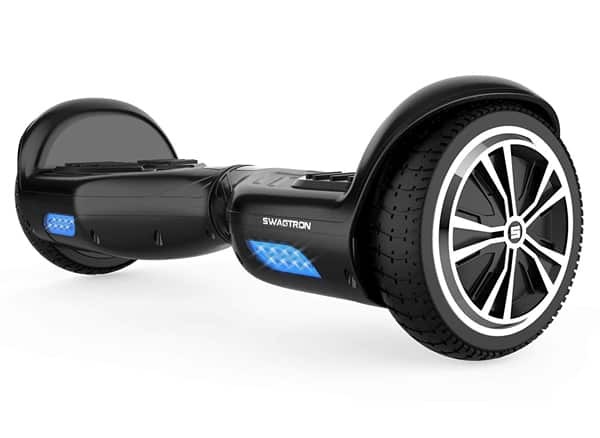 See more information on Gyroor G-F1 Hoverboard. Speed between 10-12 mph and modelled like real F1 cars. Sturdy aluminium frame,8.5-inch rubber tires, IP54 water resistant material and UL2272 safety certification. Operate the hoverboard with GYROOR App to change speeds, change LED lights etc. Powered by two 350W motors and removable rechargeable battery. 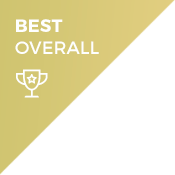 The Gyroor F1 hoverboard is on top our list of the best hoverboard 2019 and the best overall. One of the fastest hoverboard, this self-propelled vehicle is also sturdy, safe and water resistant. It will delight you with some awesome features such as the LED lights and music and operation using the Gyroor App. This is certainly one of the best hoverboards that you can go for. The EPIKGO Self Balance Board is a hoverboard with some amazing superior quality features which make it standout from the rest. Its durable aluminium alloy body frame gives it strength and it weighs 31 lbs. This hoverboard comes fitted with an 8.5-inch all-terrain tires and alloy wheels which can climb at 18-degree angle and can easily manoeuvre on any terrain like dirt, grass, mud or sand. 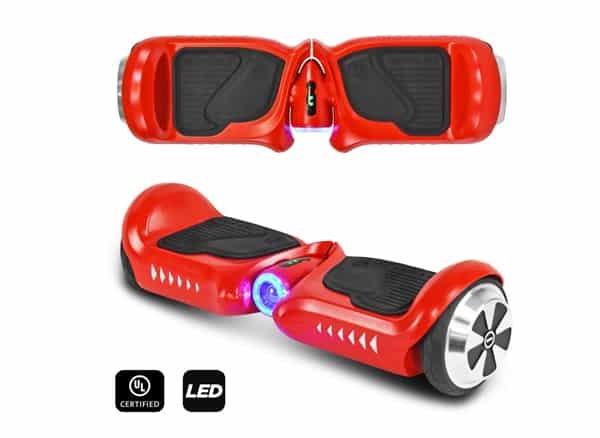 The hoverboard comes with a water resistance rating of IP56 and comes with LED lights for safe riding at night. The tires and the footboard of this hoverboard scooter are much larger than its competitors providing for more comfort and balance for the rider. It is powered by 400W dual motors and UL2271 certified smart battery and can reach speed up to 10 miles/hour. With a UL2272 safety certification for fire and electrical hazard, one can use it without any fear or concern. It is suitable for riders above 13 years and can carry a maximum load of 265 lbs. See more information on EPIKGO Classic. Larger all- terrain tires suited for grass, mud, sand or any rough terrain. 30% more footboard space for a comfortable ride. 400 W dual motors, UL2272 safety certification and IP56 water resistance. LED lights for night riding. 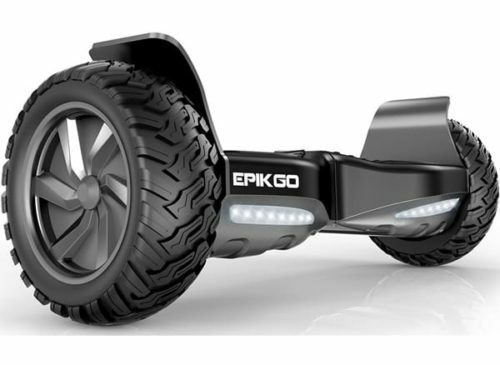 The EPIKGO Classic is second on our list of the best hoverboards and the best premium. This sturdy hoverboard is built for a rugged, off- road adventure. With its all-terrain tires, you can glide through with ease on any rough surface. Powered by doubly powerful motors and extra foot space, this electric hoverboard provides for a comfortable and enjoyable ride. Automatic wheel balancing feature for comfortable mounting. Dual 250 W motors, 7-11 mph speed, 6.5” tires and climbing angle of 30 degrees. The Swagtron T881 hoverboard is the third on our list of the best hoverboards 2019 and the best value hoverboard. This electric hoverboard is a very affordable and popular model that packs in all the features necessary for a fun filled ride. Its lightweight and easy mounting means, it is never a hassle to either carry it or riding on it. It is suitable for negotiating most terrains and up to an incline of 30 degrees. This scooter hoverboard can carry load of up to 220 lbs. It has a cool sleek design and the build quality is of top class. The material is waterproof with IPX4 rating. Plus, the hoverboard complies with UL2272 safety standards and the battery complies with UL2271 standard offering complete protection. The outer shell of the frame is high temperature resistant and is made of anti-fire material. It also has some delightful features like Bluetooth, Colourful RGB LED lighting and dual 5W HiFi music speakers. See more information on Tomoloo Q2X Hoverboard. Wide tires for more stability or variety of terrains. Powered by 600W dual motors offering speed up to 12 km/hr and 30-degree climb. 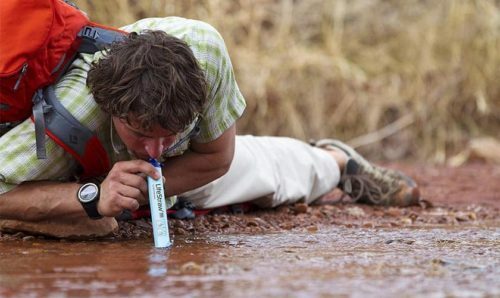 IPX4 water proof rating and UL2272 safety certification. Colourful RGB LED lighting, Bluetooth connectivity, 5W HiFi speakers. The Tomoloo Q2X Hoverboard comes at a higher price and doesn’t disappoint. With some high end features it packs a strong punch and you might just fall in love with it. With its wide tyres, wider deck it offers more stability and comfort to navigate through different terrains. The safety certified and waterproof material on the other hand, will ensure you have a safe ride. This is certainly worthy of being in your shopping list. NHT Aurora Hoverboard is good option that has all the essential features to make it a good buy and comes in an exciting spider web design pattern to give it a cool look. It comes with 6.5” vacuum tires fitted with LED lights. Propelled by dual 250W motors, this hoverboard can achieve speeds between 6mph to 7.5mph. Not just the headlights, this hoverboard has some colourful lights that give it a vibrant look. It has led lights in front as headlights for navigating in the dark. Then the wheel has lights in an awesome spider web pattern. The top of the hoverboard has lights which has sensors and get activated when the rider mounts on the board. 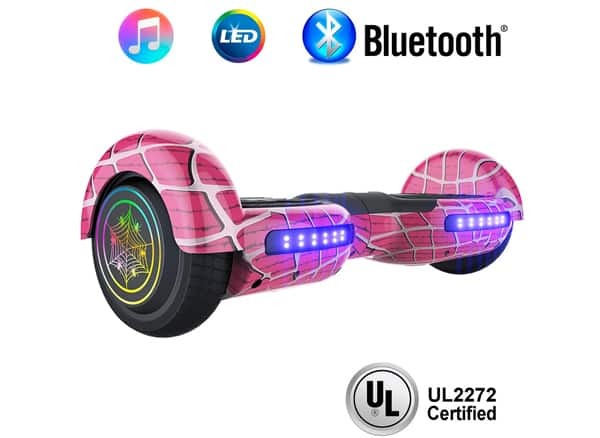 It has a Bluetooth connectivity through which you can play songs via the speaker on the hoverboard. This scooter hoverboard is UL2272 certified and tested for fire and electric safety. See more information on NHT Aurora Spider Pink Hoverboard. 6.5” vacuum tires, dual 250 W motors. Spider web pattern lights on the wheels. LED lights, Lights on top of hoverboard. The Lamborghini Two Dots Hoverboard is high on features and comes at a premium price and delivers a powerful performance with. Powered by dual 400W motors, this electric hoverboard has 8.5” all-season tires which are durable and offer superior traction. This hoverboard is perfect for riding any rough terrain and will climb at an angle up to 15 degrees. It is larger by 33% offering more foot space and comfort to the rider and can achieve a top speed of 9.32 miles/hour. 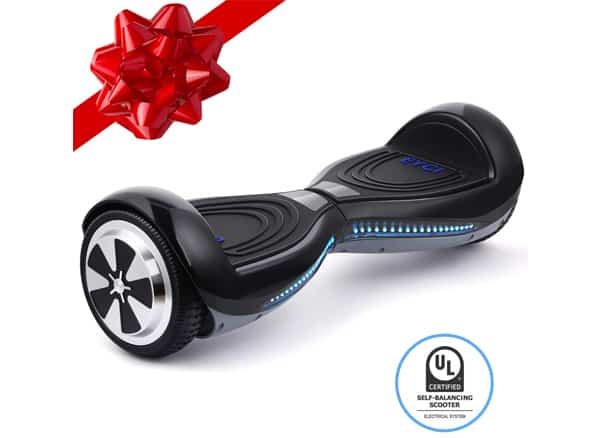 This self-balancing scooter hoverboard comes with UL2272 certification for safety against fire and electric hazard and its material is rated IP54 offering more solidity and water resistance. It runs on rechargeable 36V Li-ion battery and can run up to 9 miles on full charge. This sturdy hoverboard can carry weight up to 264 pounds. It also comes with Bluetooth connectivity and speaker for so you can listen to some music on the go and have fun. 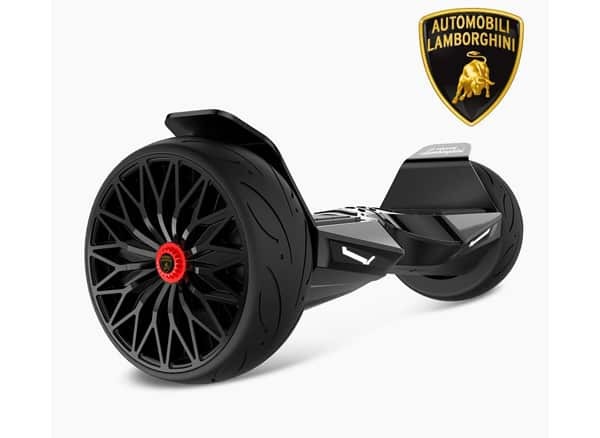 See more information on Lamborghini Two Dots Hoverboard. Dual 400W motors, 8.5” all season, high-quality tires. Speed up to 9.32 miles/hour with up to 15 degree incline. 33% more foot space for extra comfort. UL2272 safety certification and IP54 water resistance. The Lamborghini Two Dots Hoverboard comes at a premium price but comes with the trust and confidence of the Lamborghini brand. 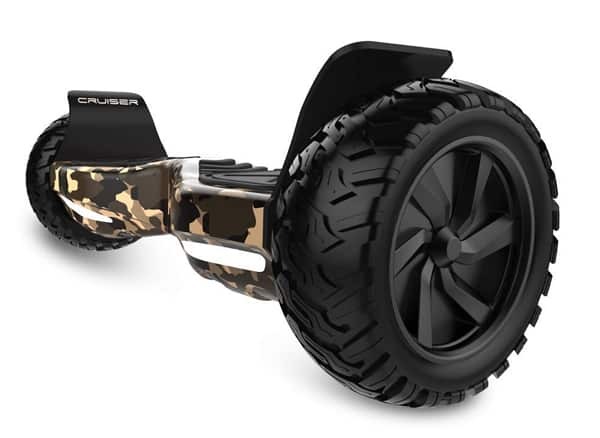 It is an ideal hoverboard for an off-road expedition. With powerful motors, superior tires, quality build and high speed it is made to deliver a power packed performance. If spending a tad more is not an issue, you can certainly go for this hoverboard. The CHO Hoverboard is one of cheapest hoverboard you can get in the market. This electric hoverboard is made of plastic material with anti-fire protection. This self balancing scooter is powered by dual 200W motors and runs on 36V rechargeable batteries. The hover scooter offers a speed between 4-6 miles/hour and can run up to 7 miles on full charge. This hoverboard is equipped with 4.5” tires which offer good balance. It also has LED colourful LED lights fitted on the wheels which make for a colorful experience. Weighing at around 27 pounds, this cheap hoverboard is indeed lightweight than many scooter hoverboards in the market and easier to carry. It has a solid build which is UL2272 certified and can carry a load of maximum 120lb. See more information on CHO Hoverboard. UL2272 certified solid and safe material. Dual 200W motors with speed up to 4-6 miles/hour. 4.5” tires fitted with colorful LED lights. The CHO hoverboard is one of the cheapest options to go for. Even though low priced, it doesn’t disappoint in terms of functionality. This hoverboard is totally safe with certified material and offers a comfortable speed of up to 6 miles/hour. The colorful LED lights would definitely make for a joyful ride. This one is an ideal hoverboard for kids and adults alike. The Hyper Gogo Cruiser is another popular option if you are looking for a premium hoverboards. This self balancing scooter comes fitted with 8.5” alloy rubber wheels and with its sturdy design is made for taking you on a fun and adventurous ride. It is powered by dual 400W motors and runs on rechargeable batteries which achieve full charge in around 2.5hours which is a standard time. This electric hoverboard can reach speeds up to 9.3 miles/hour and is suitable to be driven on rough terrain. 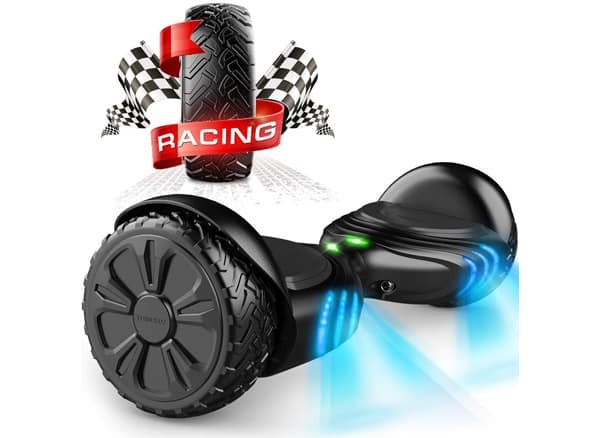 I is among the fastest hoverboard in the market and to make your ride all the more fun, it comes with blutetooth speakers to play music while you are taking your ride. Plus it is equipped with headlights in the front for riding at night and also to give the hoverboard a cool look. 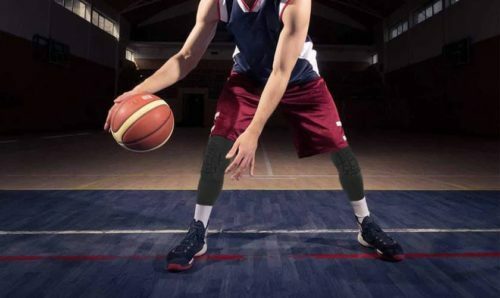 It has undergone lot of testing and is UL2272 safety certified with water resistant material. Dual 400Wmotors with 8.5” alloy wheels. Speeds up to 9.3 mph. The Hyper Gogo Cruiser, true to its name is a hoverboard that will cruise through the streets with its high speed and powerful motors. This product is totally safe and with the huge tires, you would be in for a comfortable ride. Add to that some fun elements like Bluetooth speakers and this hoverboard certainly deserves to be on your shopping list. The EYCI self balancing scooter hoverboard is a mid-ranged hoverboard with some top quality features. 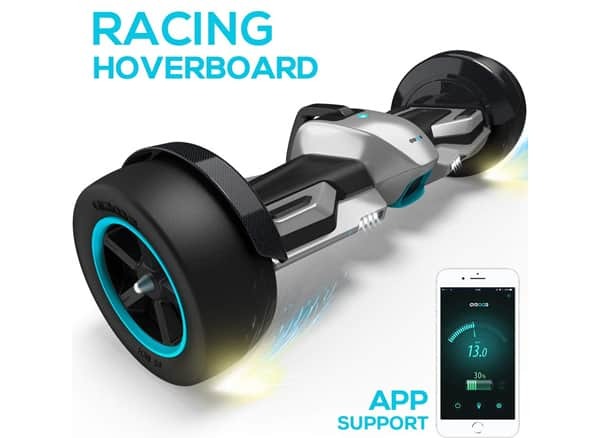 This hoverboard is powered by dual 250W motors and can reach speed up to 6.2 mph and climbing angle of up to 15 degree which makes it an ideal option for an off road experience as well but a flat and open terrain is what is recommended. It runs on r14 li-ion batteries with a protective layer against catching fire. See more information on EYCI Hoverboard. Dual 250W motors, 6.5” tires, 6.2mph with 15 degree climbing angle. UL2272 certified with IPX 34 water resistance rating. Low battery alarm, over speed and overcharge protection, anti-fall feature. LED lights, start up when stepped on. The Megawheels Smart Hoverboard is the last one on our list of the best hoverboards 2019. This affordable option is equipped with dual 250W motors and runs on rechargeable battery and offers you a maximum speed up to 7.5 mph with a range of 10 km per charge. This electric hoverboard comes with all the safety features. It is UL2272 safety certified and comes with anti-fire safety protection and anti-slip protection on the footboard. 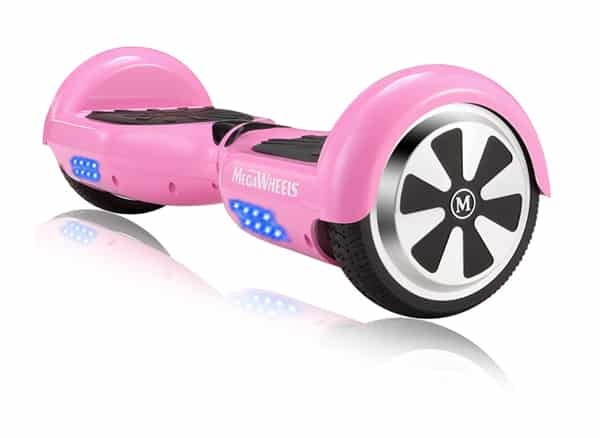 See more information on MEGAWHEELS Smart Hoverboard. Dual 250W motors with maximum speed of 7.5 mph. 6.5” tires with 360 degree rotation and zero turning radius. UL2272 certification, anti-fire protection and anti- slip footboard. 3 colors LED light and Bluetooth speakers. The Megawheels Smart Hoverboard is comes at a low price and offers all the features for a comfortable and smooth ride. It offers some awesome safety features keeping rider’s security in mind. It is an ideal hoverboard for kids at entry level but adults will enjoy them equally. Safety: Rider safety should be the top consideration when buying a hoverboard. You must check whether it is UL2272 certified which ensures it has been tested for fire and electric hazard. The level of water resistance the hoverboard provide, whether its battery is protected from water should also be looked into. Tires: The size of the tires and the material they are built of, should be seen. Larger tires offer more stability, balance and comfort while riding in rough terrain. They will offer more speed. 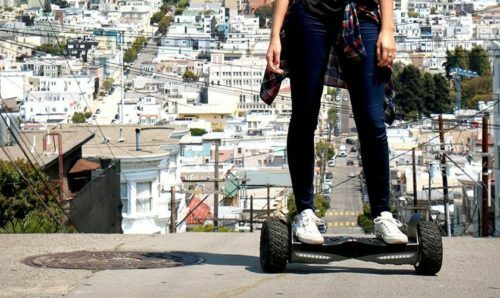 Battery: Your hoverboard should be able to provide good battery life to enable you to go the distance. However, sometimes longer battery life come at the cost of reduced speed or less carrying capacity. You should look at an optimum balance between these factors. Motors: Hoverboards offer dual motors of varying capacity. High power motors offer more speed and better performance. Generally, you would find motors of 200W, 250W and 400W in the market. Weight and Construction: The hoverboard’s weight should be ideal for the rider. A lighter hoverboard is easy to carry but may be built using a cheap material and will have low weight carrying capacity. On the other hand, heavier hoverboards will offer more sturdiness and carry more load.